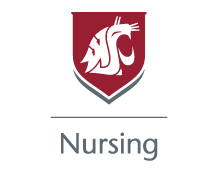 Kaʻimi Sinclair is an Assistant Professor in the College of Nursing and a member of the Washington State Dementia Action Collaborative and former Commissioner for the Washington State Commission on Asian Pacific American Affairs. For the past two decades, she has developed, implemented, and evaluated culturally adapted health promotion and disease prevention interventions with several health disparity populations including African Americans and Latinos in Detroit, Michigan; Native Hawaiians and other Pacific Islanders in Hawaii and Washington; and American Indians in tribal and urban communities across the U.S. Her research uses a community-engaged participatory approach, applying both qualitative and quantitative methods. This mixed methodology blends the rigor of randomized controlled designs with the inclusion of community-centered perspectives. Dr. Sinclair’s research is typically translational in nature, and all her intervention studies have been culturally tailored to meet the unique needs their community participants. Substantial formative work is entailed by cultural adaptation, a process that ensures high rates of participant satisfaction and increases the likelihood that findings will lead to improvements in clinical and behavioral outcomes. Dr. Sinclair has also conducted significant epidemiological research, particularly in efforts to establish the prevalence of cardiometabolic conditions in Native Hawaiians and Pacific Islanders. From 2008 to 2010, Dr. Sinclair was a trainee in the highly successful Native Investigator Development Program, an effort of the Native Elder Research Center at the University of Colorado Denver. 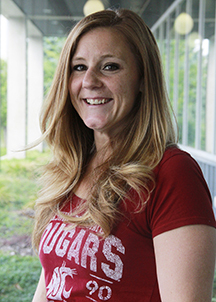 Most of her career has been devoted to working in multidisciplinary teams on multisite studies in partnership with community members and community-based organizations. Over the past five years, Dr. Sinclair has built a community/academic partnership with several organizations that serve Native Hawaiians and Pacific Islanders throughout Washington. She also serves on several advisory boards that focus on Native Hawaiian and Pacific Islander health issues. 1) Patient education for diabetes self-management, 2) community-based interventions to prevent diabetes and obesity and encourage physical activity, and 3) health disparities research involving American Indian, Native Hawaiian, other Pacific Islander, African American, and Latino communities. 1) Community-based behavioral interventions to improve health in underserved minority populations, and 2) cultural adaptations of existing interventions developed for one population to make them suitable for implementation with another population. Kieffer EC, Willis SK, Odoms-Young AM, Guzman JR, Allen AJ, Sinclair K [as J.G. Two Feathers]. Reducing disparities in diabetes among African-American and Latino residents of Detroit: the essential role of community planning focus groups. Ethn Dis. 2004;14:S27-37. Sinclair K [as J.G. Two Feathers], Kieffer EC, Palmisano G, Anderson M, Sinco B, Janz N, Heisler M, Spencer M, Guzman R, Thompson J, Wisdom KD, James SA. Racial and Ethnic Approaches to Community Health (REACH) Detroit partnership: improving diabetes-related outcomes among African American and Latino adults. Am J Public Health. 2005;95:1552-1560. Sinclair K [as J.G. Two Feathers], Kieffer EC, Palmisano G, Anderson M, Sinco B, Janz N, Spencer M, Guzman R, James SA. The development, implementation and process evaluation of the REACH Detroit diabetes lifestyle intervention. Diabetes Educ. 2007;33:509-520. Mau MK, Sinclair KA, Saito EP, Baumhofer KN, Kaholokula JK. Cardiometabolic health disparities in Native Hawaiians and other Pacific Islanders. Epidemiol Rev. 2009;31:113-129. Sinclair KA, Bogart A, Buchwald D, Henderson JA. The prevalence of metabolic syndrome-associated risk factors in Northern Plains and Southwest American Indians. Diabetes Care. 2011;34:118-120. Sinclair K, Makahi E, Solatorio C, Yoshimura S, Townsend CKM, Kaholokula JK. Outcomes from a diabetes self-management intervention for Native Hawaiians and Pacific People: Partners in Care. Ann Behav Med. 2013;45:24-32. Kaholokula JK, Townsend CK, Ige A, Sinclair KA, Mau MK, Leake A, Palakiko DM, Yoshimura SR, Kekauoha P, Hughes C. Sociodemographic, behavioral, and biological variables related to weight loss in Native Hawaiians and other Pacific Islanders. Obesity. 2013;21:E196-203. Kaholokula JK, Townsend CKM, Sinclair KA, Palakiko DM, Makahi E, Yoshimura SR, Wang J, Kekauoha P, Dillard A, Solatorio C, Hughes C, Gamiao S, Mau MK. The PILI ‘Ohana Project: A community-academic partnership to eliminate obesity disparities in Native Hawaiian and Pacific Islander communities. Hawaii J Med Public Health. 2014;73: 29-33. Tabak RG, Sinclair KA, Baumann AA, Racette SB, Sebert Kuhlmann A, Johnson-Jennings MD, Brownson RC. A review of diabetes prevention program translations: use of cultural adaptation and implementation research. Transl Behav Med. 2015;5(4):401-14. Kaholokula JK, Look M, Mabellos T, Zhang G, de Silva M, Yoshimura S, Solatorio C, Wills T, Seto TB, Sinclair KA. Cultural dance program improves hypertension management for Native Hawaiians and Pacific Islanders: a pilot randomized trial. J Racial Ethn Health Disparities. Accepted November 26, 2015 (To be published in 2016).